I’m always looking to try out new dog biscuits I come across for the rats and mice. I look for all-natural ingredients with no meat of any sort (it’s just me—I don’t like giving my rats or mice any biscuits with meat) and ingredients they will like such as veggie, peanut butter, sweet potato flavors, etc. The OMH Just Vegg’n® biscuits are ones I found after the Pet Guard “Mr. 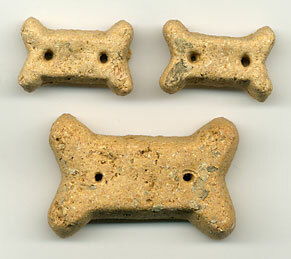 Barky’s” Vegetarian Dog biscuits I was getting for the mice became harder to find. The Just Vegg’n® biscuits ingredients include: Whole Wheat Flour, Oatmeal, Molasses, Whole Ground Carrots, Flaxseed, Canola Oil (preserved with mixed Tocopherols), Sweet Potatoes, Whole Ground Apples, Parsley, Garlic, Sea Salt. They come in two biscuit sizes—mini (1¼″ x ¾″) and small (2″ x 1¼″), and two bag sizes—20 oz in both biscuit sizes, and a 3 lb. 5 oz. bag in the small biscuit. They may be purchased through retailers. These biscuits smell so good when you first open the bag—freshness and yummy ingredients—good enough for you to eat! The mice took right to them and just love them. The mini size is perfect individual- rat-size and my rats love them as well. My rats like everything but some things they like better than others and this is one of them. Definitely add these to your critter treats! My critters give a mouth-full squeak of approval! NOTE: Just Vegg’n® biscuits are made by Old Mother Hubbard®, 285 Mill Road, Chelmsford, MA 01824, 1-800-225-0904, Fax: 978-256-9197. Their web site is http://www.oldmotherhubbard.com/.